India’s largest crowdfunding site. Over Rs.548.52 Crores raised. 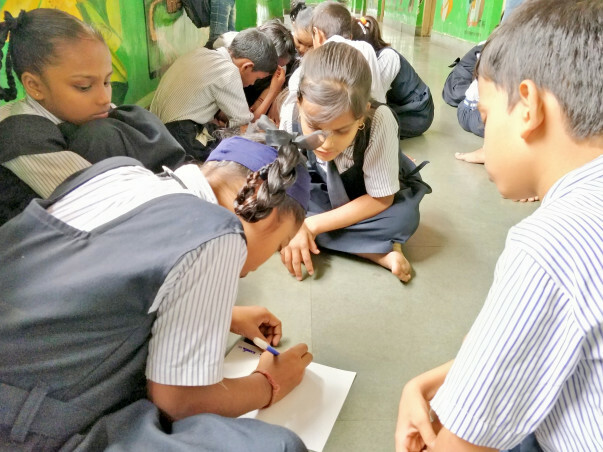 “Didi, being a woman herself, how can she ask to kill a baby girl, isn’t it a insult to herself also as she is a woman,” asked Apsara*, an 8th grade student in my Social Emotional Learning workshop at a partner municipal school while we were debriefing a video on Gender Stereotypes where a grandmother wanted to abort a girl child. School days have always been close to my heart. Meeting friends, having fun during lunch breaks or the excitement before vacations; everything holds its own special place. At the same time, as I was growing up, I wondered, why is there no space for children to speak their heart out? Why scoring marks seems to be the only purpose of education? Why is there no other parameter to measure diverse potential for students? What will become possible if children have access to a good social emotional development programme along with academic development? As I started working with children, my questions became mission-oriented quest. I realized that there is a strong need for a space where children can feel comfortable to express, emote,experience and realise their true potential. In this quest,I joined Apni Shala Foundation which is working towards exactly what I was seeking for! At Apni Shala, we build Social and Emotional Learning (SEL) opportunities for children in municipal schools, low-budget private schools and other NGOs, primarily in M and L wards of Mumbai, two of the most disadvantaged wards. 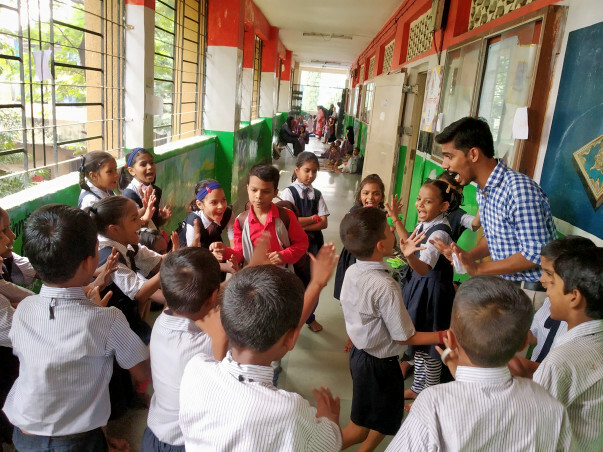 Our vision is to build social and emotional competencies among individuals so they can constructively engage with society and have a harmonious co-existence. 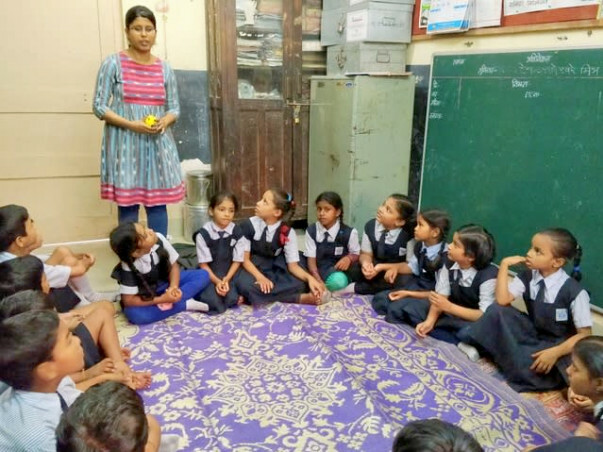 I currently facilitate SEL sessions with 50 students at Acharya Vinoba Bhave Municipal School in Kurla West, Mumbai. Our SEL programme covers several aspects of day-to-day lives and each day I see them growing as strong and confident individuals who take initiative and voice their opinions. Through these sessions, they find an opportunity to reflect upon their lives, build new meanings, question what must change and create new knowledge. We share stories of joy, excitement, anger, sadness, happiness and many more emotions. Our spaces are designed with art, drama, songs, games and community projects. 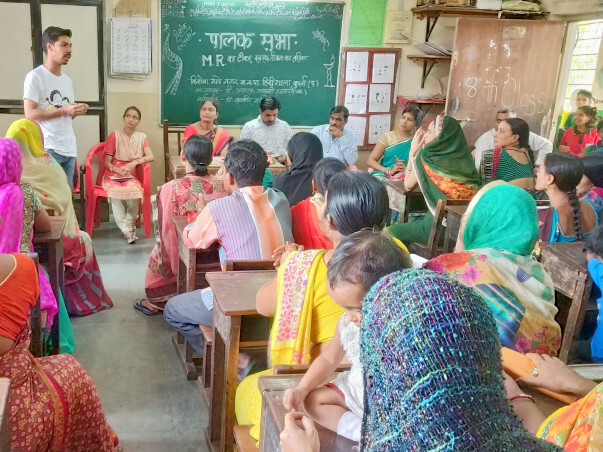 To create a more wholesome and long-lasting impact, we also work with parents, guardians, teachers and other stakeholders through our awareness sessions and campaigns. I believe SEL gives the students a way to cope up and deal with challenges of their lives. I feel proud and emotional at the same time as they build sensitivity and courage to understand and question the stereotypes of our society. I wonder how beautiful this world would be when Apsara and her friends grow as adults and bring positive changes in the society. I need your support to provide my students a safe and happy space of learning and expression to build strong the Social Emotional competencies in them.and. This helps in creating opportunity for a robust promotive and preventive mental health programme for our children. The aim of my campaign is to raise 70 thousand rupees to support 50 students. Help me,help my students have a better Social and Emotional competency and thereby a better life. This Festive season lets illuminate some lives! Contact me at aditi.apnishala@gmail.com or +91 9420255392 to know more about my work and this campaign. Thank you so much for supporting us in making this campaign a success. All the donations would be utilized towards social-emotional learning and mental well-being of our children. We truly appreciate your support towards our cause of making schools a safe space for learning. Thank you everyone for your constant support. It gives me immense pleasure to see that we are working together and creating a safer world for our children. We still have a lot more to go and thus we are extending the date of our campaign till 20th of December. What a beautiful “safe” cause .